Hastings Museum and Art Gallery has a new exhibition which celebrates the life and work of Vincent Lines, an artist whose love of people and places was expressed through his drawings, prints, paintings and writings. With a particular interest in the countryside and rural traditions, his work captures gentler times and a bygone age. Lines studied at the Central School of Arts & Crafts and the Royal College of Art, gaining professional recognition throughout the 1930s. 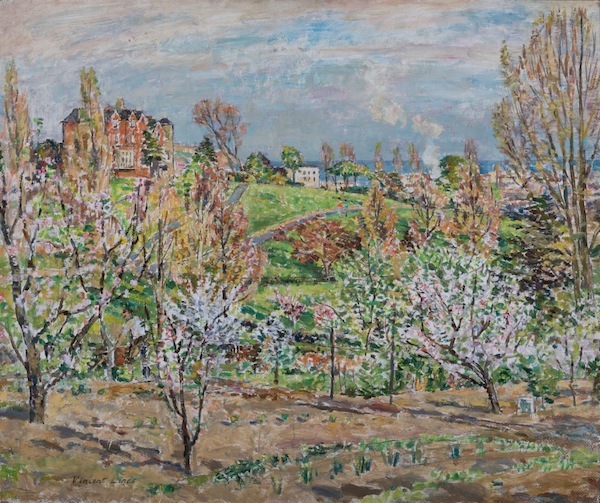 He was elected an associate of the Royal Watercolour Society in 1939, a full member in 1945 and also exhibited with the New English Art Club. A teacher for over 35 years, he was Principal of the Hastings School of Art from 1945-68, where he created a cheerful atmosphere of artistic tolerance. The Vincent Lines Prize is still awarded each year to a student in the Art Department of (what is now) Sussex Coast College Hastings. To mark the special place Lines has in the history of the department, current students will be creating new work in response to one of his paintings of Pett Level. Results of this exciting project will be displayed at Hastings Museum from 12 May – 24 June. Join Hastings Museum and Art Gallery for a special event to mark the opening of the exhibition from 2 – 3.30pm on Saturday 24 March, where you can also make your own prints using Vincent Lines’ original printing blocks with artist Ed Boxall! FREE! All welcome. Make Your Mark is a FREE event taking place on 10 April from 10am – 3pm. Come along and enjoy a print themed family activity day. The Museum and Art Gallery will also have artist Ed Boxall helping you make and print your own masterpieces inspired by their new exhibition. The paintings of Evacustes A Phipson (1854-1931) seem traditional in the extreme. He was a prolific artist, and made his living from selling hundreds of watercolour views of towns and villages around Britain to local museum and library collections. They show main streets as well as back alleys, and their architectural precision makes them valuable for research. But they give no indication of the radical freethinking attitudes of the man who created them. The exhibition uncovers details of his extraordinary life, from experiments with communal living and radical writings to his interest in language and ancient buildings. 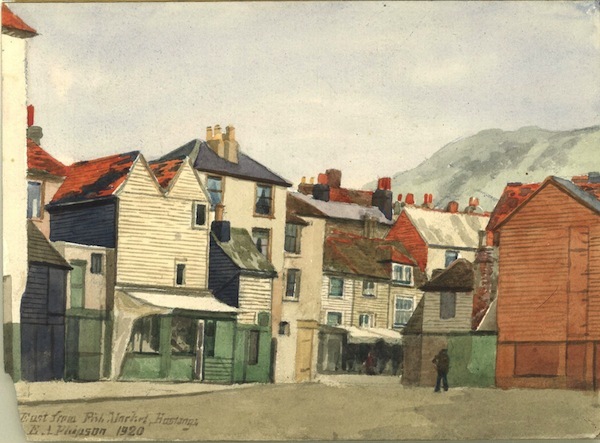 Hastings Museum has 73 views of Hastings, St Leonards and other Sussex locations, which were commissioned around 1915 by the then curator, William Ruskin Butterfield. Hastings Museum and Art Gallery website.